- Benedictine Abbess and mystic. - Feast Day: November 16th. 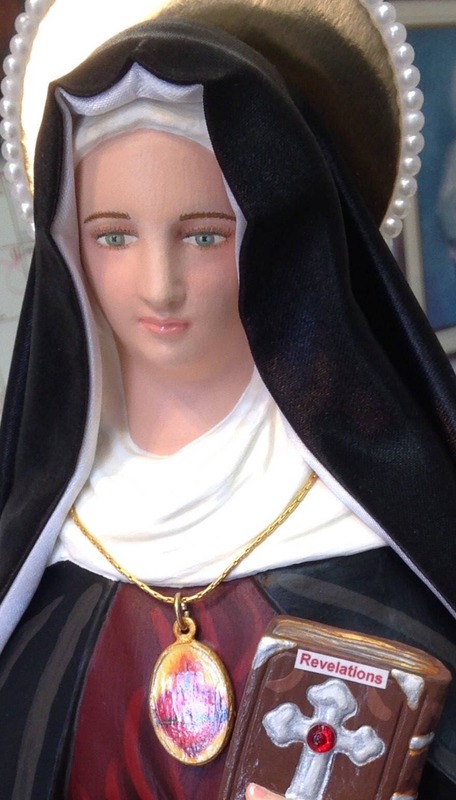 This statue features a divinely blissful hand painted face and details such as fingernails and eyelashes, authentic maroon Benedictine habit of her time and golden halo. 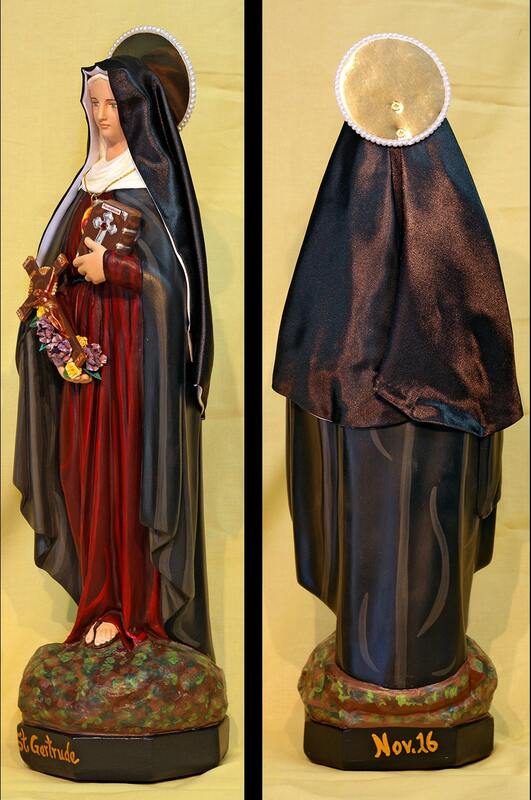 She holds a crucifix arrayed with cloth flowers in one arm and her book of graces titled “Revelations” in the other. A medallion of the Sacred Heart hangs at her chest. 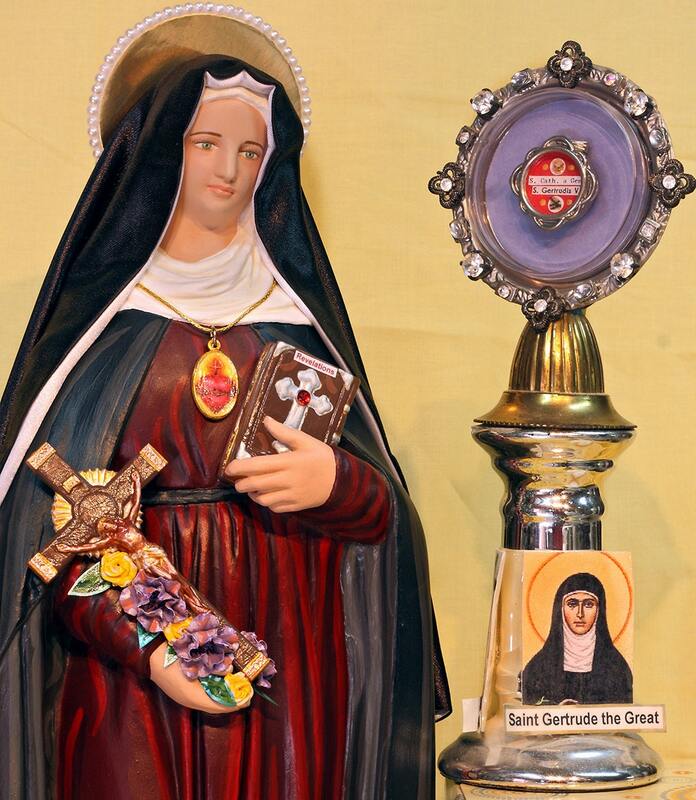 Also your finished statue will be touched to a second class relic of Saint Gertrude.